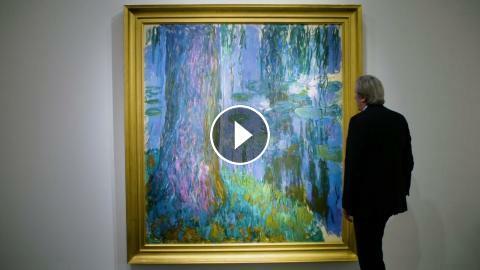 Art critic Andrew Graham-Dixon admires highlights from the most important single owner collection of Impressionist and Modern art offered for sale in London for a decade, featuring works by Monet, Renoir, Cézanne, Van Gogh, Bonnard, Matisse and more. The pictures span a radical era in European art history from the latter part of the 19th century to the late 1940s, when avant-garde artists revolutionised the aesthetic possibilities of painting. The collection includes works by Claude Monet, Pierre-Auguste Renoir, Paul Cézanne, Vincent van Gogh, Pierre Bonnard, Maurice de Vlaminck and Henri Matisse. As Cyanne Chutkow, Deputy Chairman of Impressionist and Modern Art at Christie’s, explains, ‘The works map the impact that each generation of artists had on the other’.